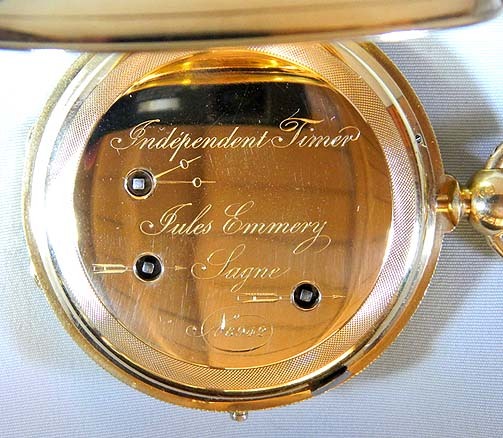 Fine Swiss 18K gold jumping 1/4 second chronograph by Jules Emmery, Lagne circa 1875. Substantial engine-turned hunting case with wear at the edges of the covers. 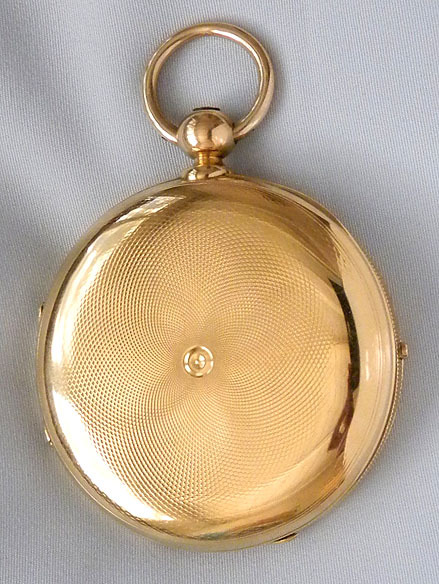 Chronograph button in the coin-milled band. 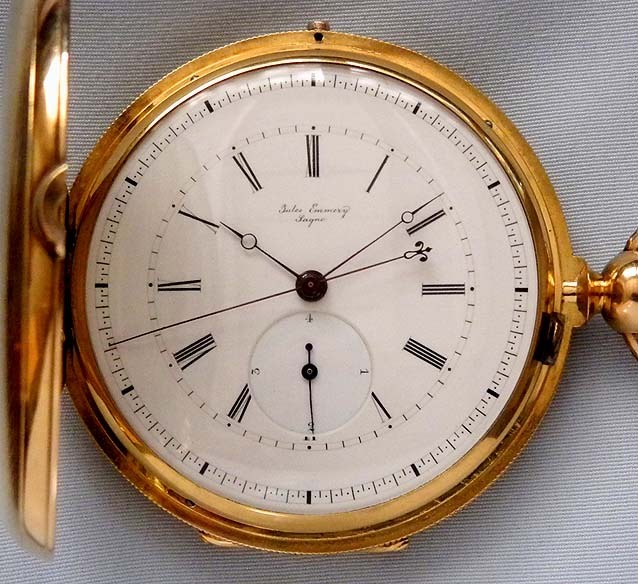 Fine white enamel dial with black markings and blued steel hands. 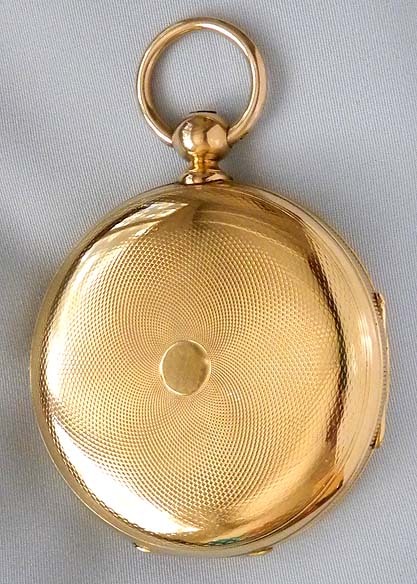 Fine nickel estimated 28 jewel movement with counterpoised lever and gold escutcheons. Depressing the button starts and stops the chronograph. 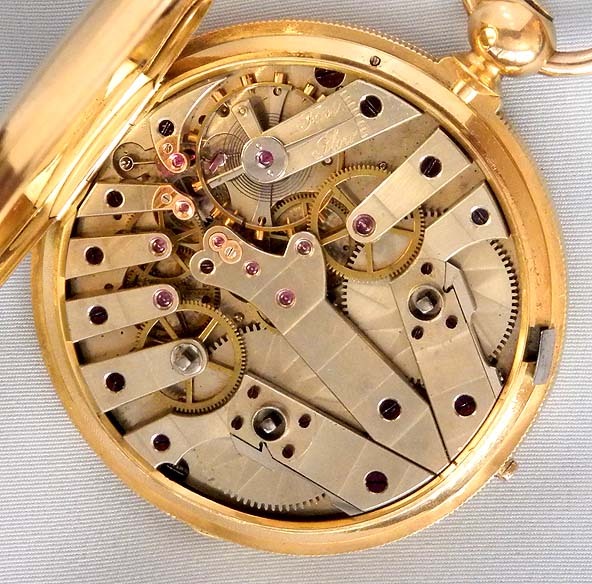 This watch is accurate to 1/4th of a second, and when the chronograph is running the subsidiary hand jumps very quickly making one revolution per second. This makes it easier to tell the time to the correct fraction of a second.